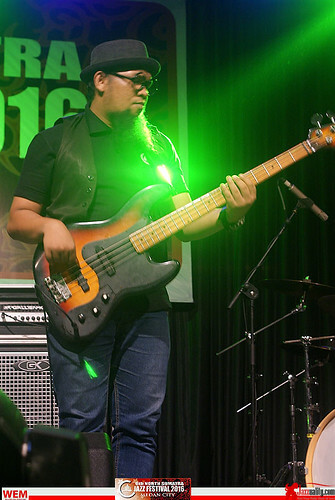 The ‘Rock City’ Medan once again showed its fangs. And they are really sharp and sparkling. Entering its 6th edition of the festival, North Sumatra Jazz Festival 2016 (NSJF 2016) still upholds the pure idealism of the festival’s frontman, Erucakra Mahameru. 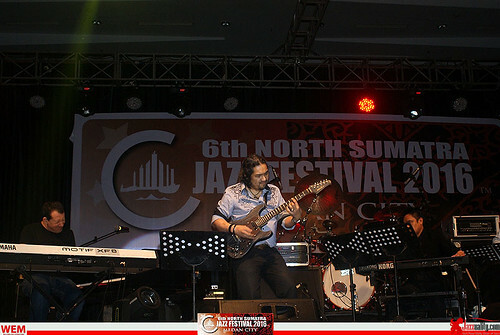 We still remember what he said in the first edition of the festival. 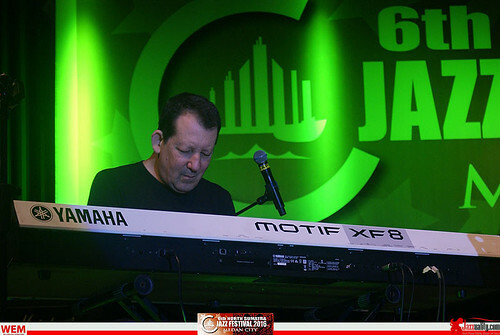 Not only he dreamt to bring a special celebration of jazz into the city where rich diversity of cultures exists, he always tries to keep the international standard by careful selection of lineup. 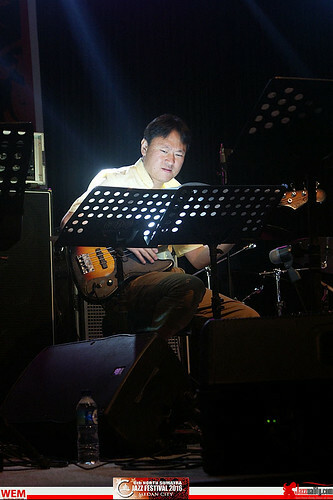 By cooperating for the 6th time with indiejazzINDONESIA/Dion Momongan, this year, aside the return of South Korea’s Phil Yoon Group, he remarkably brought the jazz icon Jeff Lorber in his first collaboration with all Indonesian jazz sensations; Dwiki Dharmawan, Barry Likumahuwa, Echa Soemantri, Ricad Hutapea and Erucakra Mahameru himself. 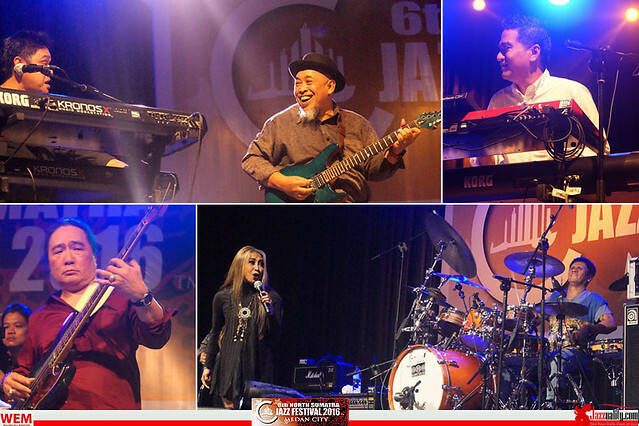 Other than that, the apperearance of superband Krakatau Reunion erupted the festival with joy. 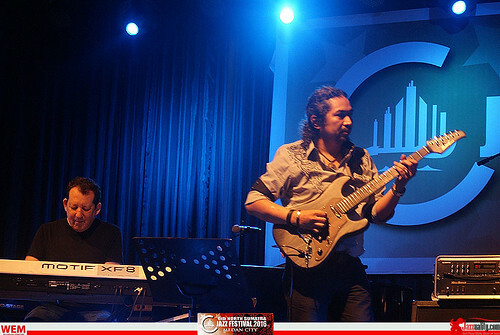 And the homeband Erucakra Mahameru C Man Band again proved that they are the undisputed jazz leader of the city. At the press conference held in Convention Lobby, Santika Hotel, Jeff Lorber said that he’s never been to a regional jazz festival with such standards and well organized as NSJF. Another highlight attended the conference too, Krakatau Reunion in full team. 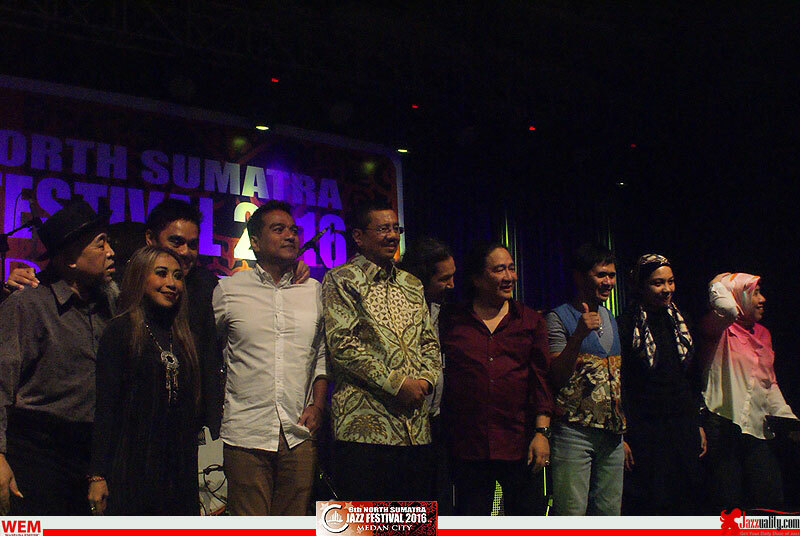 Indra Lesmana, Dwiki Dharmawan, Pra Budiharma, Donny Suhendra, Gilang Ramadhan and Trie Utami were all there. With the failed reunion plan in 2013 under the name Krakatau Kembali Satu which was taken from one of their hit singles, this third and most successful formation finally landed big on Medan. 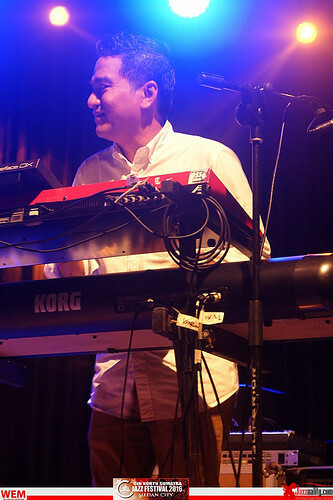 The festival began sailing with Phil Yoon Group. 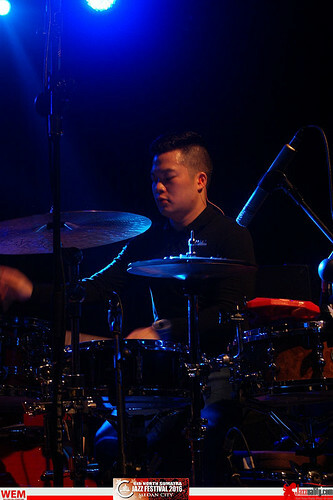 This year’s formation consists of Phil Yoon (drums), Lee Jong Won (sax), Lee Myoung Gun (piano), Heo Jin Ho (bass) plus a female vocalist, Ahhye Cho. The first song they played was “Joshua” (written by Victor Feldman) in Phil Yoon’s arrangement, then three of Phil Yoon’s compositions; EJ (Homage to Elvin Jones), “Sorrowness” and “The Ride”. 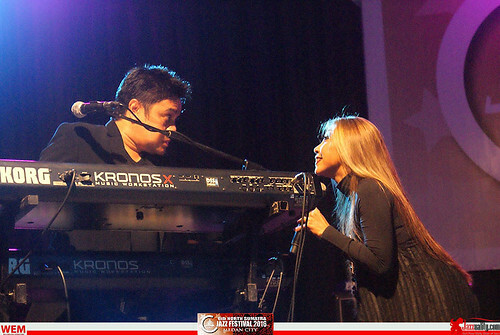 Along with the lovely female singer, they delivered their vocal rendition of the classic jazz hits such as “Fly Me to the Moon”, “Over the Rainbow”, “Lullaby of Birdland” and then ended with “Can’t Take My Eyes Off You”. In the midst of K-Pop invading the world, it’s just refreshing to see jazz appear grand too from South Korea. 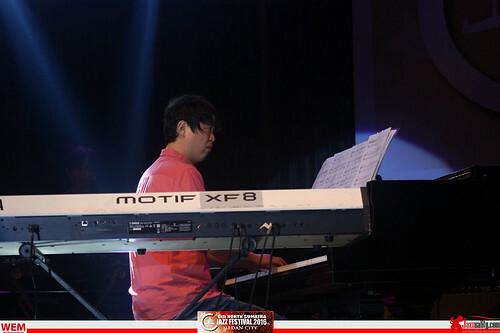 We are also happy to see how Erucakra and Phil Yoon keep supporting each other since last year. We enjoyed their music and action. 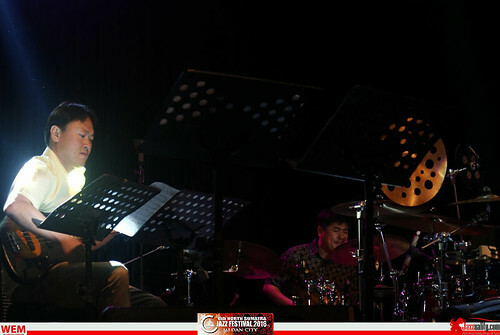 A fine blend between challenging, playful and beautiful jazz performance. Kamsahamnida! The all-stars collaboration soon took place. 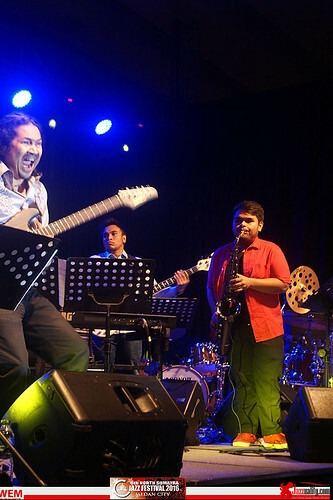 It was between one of the pioneers of jazz fusion, Jeff Lorber with heavy artillery: Erucakra Mahameru (guitar), Dwiki Dharmawan (keyboard), Ricad Hutapea (saxophone), Echa Soemantri (drums) and Barry Likumahuwa (bass). 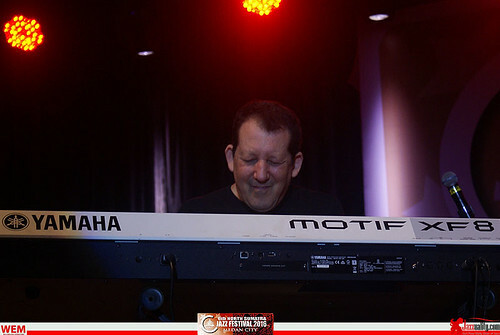 This amazing team played Lorber’s hits from his wonderful years of career especially with his famous Jeff Lorber Fusion like from his third album as the band leader released in 1979: “Toad’s Place” and “Tune 88”, “Hudson” from 2007’s “He Had a Hat”, “Chinese Medicinal Herbs” from “Now is the Time” album (2010), the title-track of his Grammy nominated album in 2013, “Hacienda”, and two songs from 2011 album “Galaxy”: “Montserrat” and the one with Indonesian title, “Singaraja”. 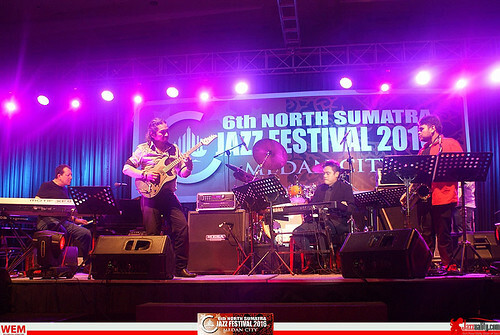 In this song, Ricad Hutapea did very well in substituting the role of Eric Marienthal (and Randy Brecker) in the album. 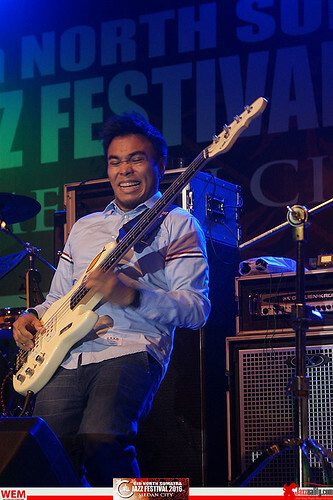 Barry Likumahuwa’s funklines were just as infectious as always, Echa Soemantri demonstrated neat funky jazz drumming and the senior players like Dwiki Dharmawan and Erucakra knew exactly how to spice things up. They got loud pops many times from the crowds. 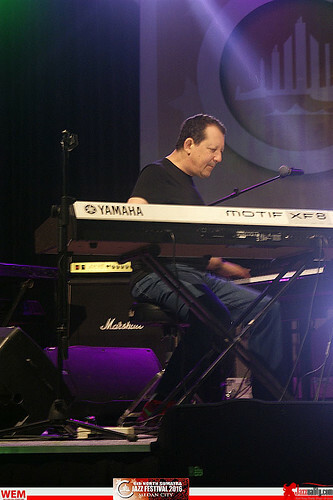 Jeff Lorber told us he was happy to join this year’s lineup in Medan, the city he visited for the very first time. Speaking of his team mates, he said: “They are skillful and cool.” He also stated that he never played with them before. 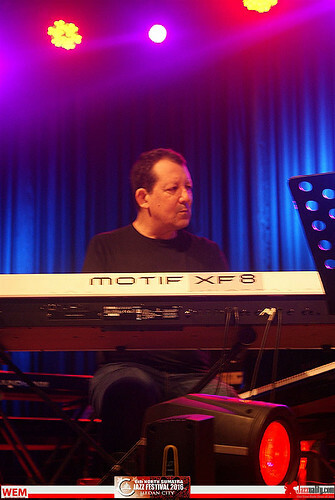 Well, Dwiki once worked his album in Lorber’s studio, but at that time he only participated as the sound engineer. 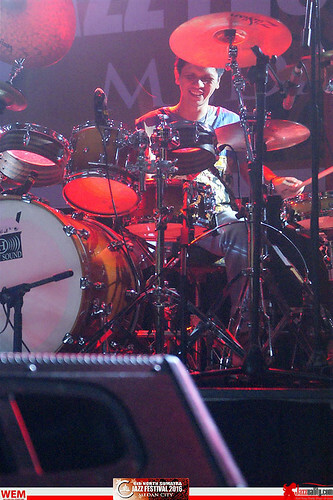 “We only rehearsed once, but I feel satisfied with the result.” he added. Finally, he wishes NSJF the best. May the festival keep running and have more international artists. 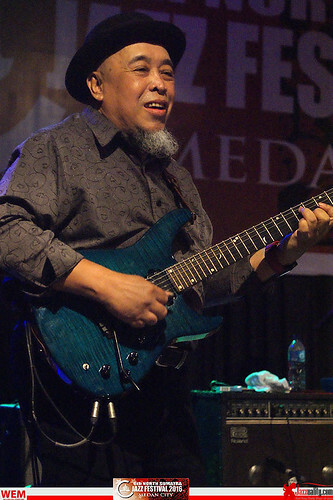 It’s not everyday for Medan jazz lovers to have a visit from legendary jazz giant like him. Thanks to NSJF, it finally happened. 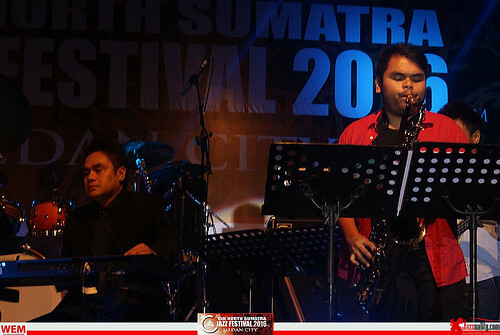 The next performer the pride of the city, Erucakra Mahameru C Man. 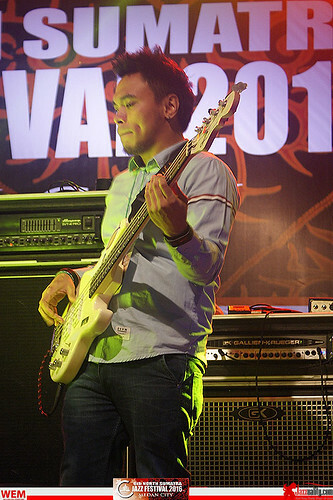 With the recent formation consists of Erucakra himself in lead guitars and vocals, Brian Harefa (saxophone), Radhian Syuhada (bass), Heri Syahputra (keyboard/synthesizer) and Rusfian Karim (drums), Erucakra C Man explored more of Sumatra’s regional cultures, from Omar Yusuf’s special Atjeh traditional vocal performance backed by Radhian in Atjeh traditional backing vocals to Nias island traditional singing style courtesy of Brian Harefa. 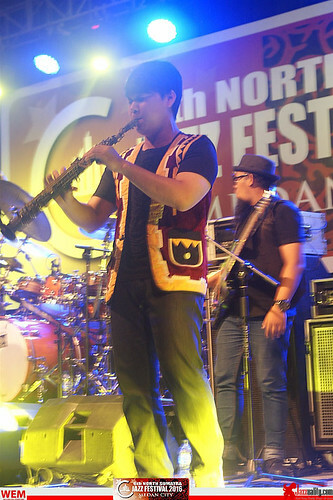 4 compositions of Erucakra C Man were on including the new ones: “Crossing the Borderline” with (with Hoho, Nias’ traditional music as the overture), “Hom Hom” (Rapai Atjeh collaboration) by Omar, “Hold On” and the wild-ride track “Balap Liar”. 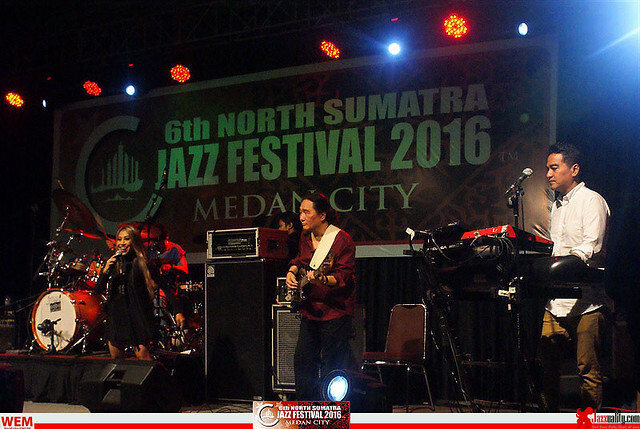 Since Erucakra wished to include the rich Sumatra heritage inside the festival in every edition, the role of his band becomes really vital. 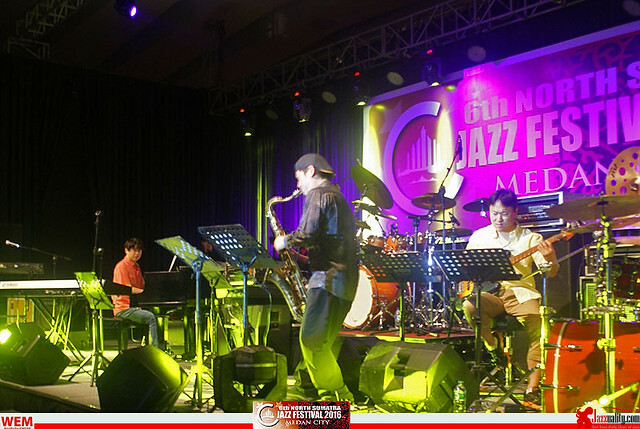 Naturally jazz would absorb the specific music wherever it lands. This year jazz was fusing with Atjeh and Nias Island’s traditional music. 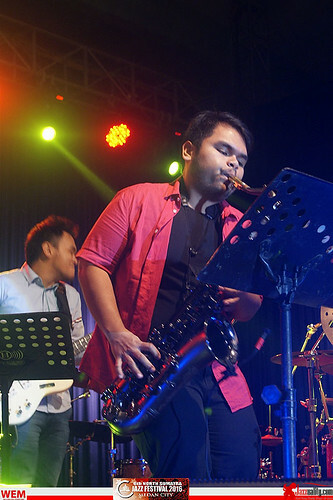 Erucakra C Man band gave out a mind-bending world jazz fusion inside a challenging NeoProgressive Jazz corridor that should stun those who came to the show. As usual when we have fun, time seems to run faster than we hope. It was almost midnight already, but the hall just got even hotter by the most awaited performance this year, the Krakatau Reunion. 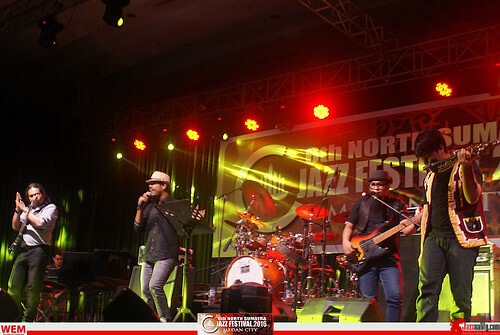 Started with the name “Mesopotamia” at the Concordia Hall of Bumi Sangkuriang in Bandung in the mid 80’s, this band rose to fame under the name of Krakatau after their winning performance at Yamaha Bands Explotion in Japan. 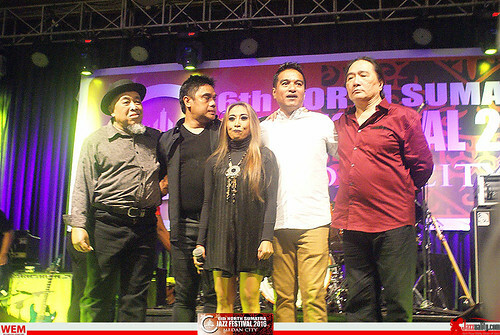 The third formation then became a milestone in Indonesian music history. 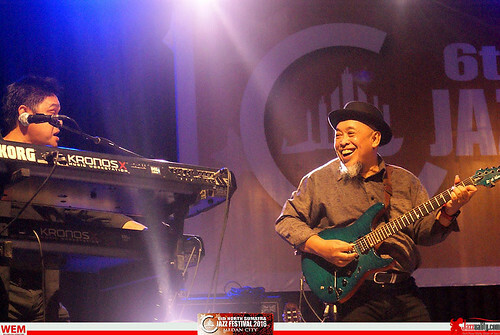 Donny Suhendra (guitar), Dwiki Dharmawan (keyboard), Gilang Ramadhan (drum), Indra Lesmana (keyboard), Pra Budidharma (bass) and Trie Utami (vocal) went on producing so many songs that instantly became hits which amazingly still popular until now. 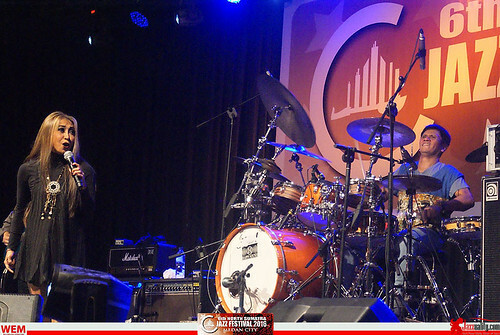 They managed to sell more than 5 million copies only within 3 years, Their music style was unique. 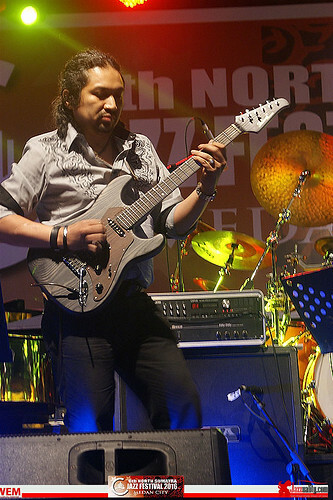 On stage they were against the main stream, tough, explosive, powerful with many magic moments, playing sharp jazz with thick rock nuances in the layers. But in recordings they knew how to make it more ‘pop’, yet without having to loose the identity and true-self of Krakatau. This formula worked really well in placing them as legendary supergroup. But then the personnels parted ways. 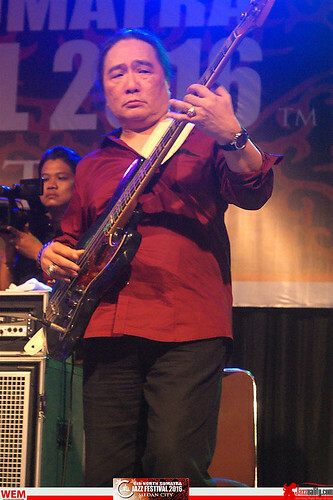 Some of them still kept the band alive, transforming the band into more ethniques especially the West Javanese, but this famous formation hibernated for 25 years. Then in 2013 they gave shocking announcement about their return. 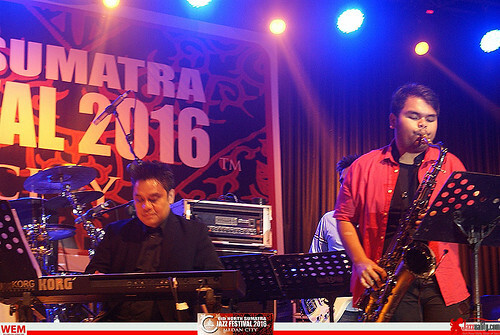 Three years passed, this Krakatau Reunion is still solid, even stronger than ever. The players are not young anymore, but they are still filled with the same spirit and power just like two and a half decades ago. 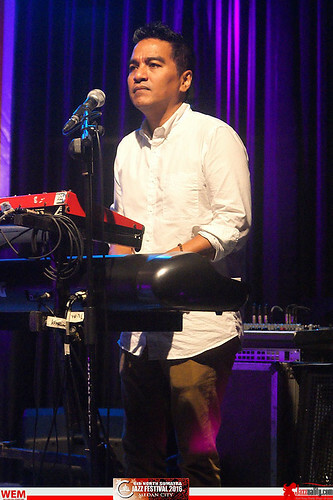 Krakatau Reunion started with Indra Lesmana’s composition from their first album in 1987, “Passport”, followed by “Ironis” (Indra Lesmana, Dwiki Dharmawan and Mira Lesmana) from their 2nd album (1988), “Kemelut” (1987), and “Perjalanan” from “Kembali Satu” album (1989). 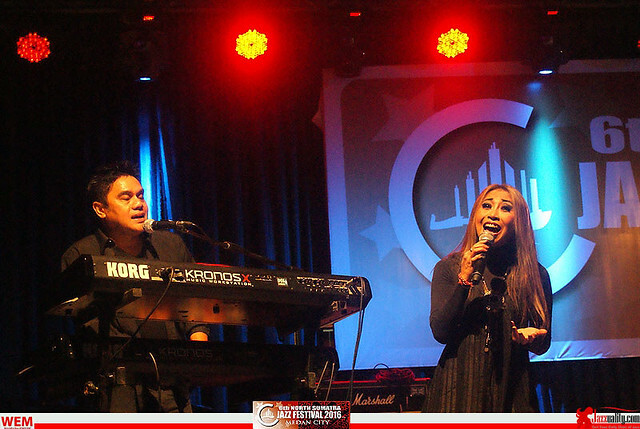 The well known smooth jazz hits “Haiti” from the first album then brought the audience to a nostalgic moment, followed by Trie Utami presented their new single “Aku Kamu Kita” which will be included in the upcoming 2016 album set to be released later this year. 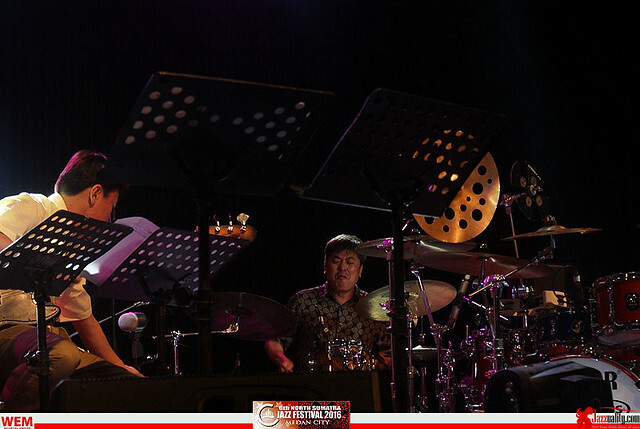 This special performance continued on with one of their most famous singles from the second album, “La Samba Primadona” which brought an action-packed duel between Indra and Dwiki, followed by Gilang Ramadhan’s magical solo drum performance. 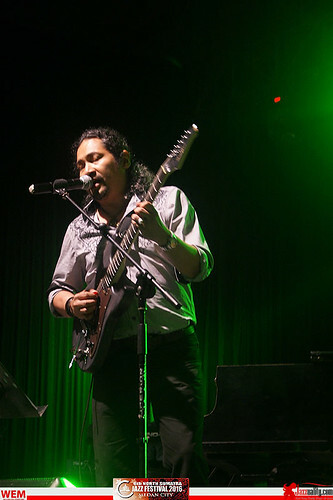 Still having his special skills after all these years, Gilang’s solo performance delivered another Krakatau’s best “Kau Datang” from 1989. 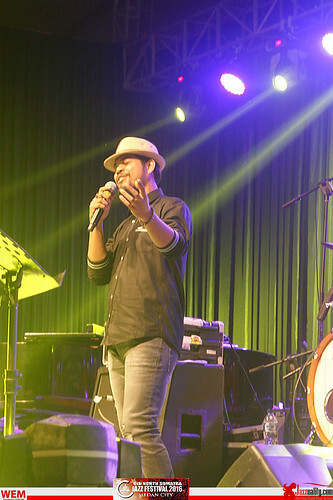 The single that brought Krakatau to stardom, “Gemilang” then brought the audience dancing and singing together. The atmosphere was unbelievable. As predicted, the audience didn’t want to release them that easy. As an encore, a slow beat hit “Sekitar Kita” from their last album in 1992 , “Let There be Life.” What a moment, what a show, what an experience. All are unforgettable. And, what a way to close the festival. There are many reasons why we take this edition as the best so far. First, the number of attendace rose dramatically. Many came late, but in the end it was solid full house until the end. Then the sound and acoustics of the hall was also way better than before. the world-class quality was found in each session, the rundown built up perfect dynamics, that should also be taken as the reasons. 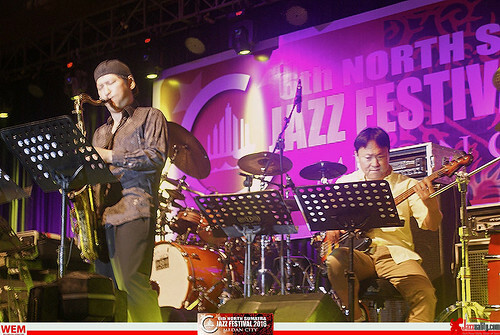 The participation of super jazz star from USA and Korea, the memorable huge blast from a supergroup, all created multi-eruptions that made this edition stood in different league. North Sumatra acting governor Tengku Erry Nuradi came, gave a speech and then took picture with Krakatau Reunion showed how the local government support this festival. And thanks to the expressive, happening crowds, the North Sumatra Jazz Festival 2016 reached a huge success. 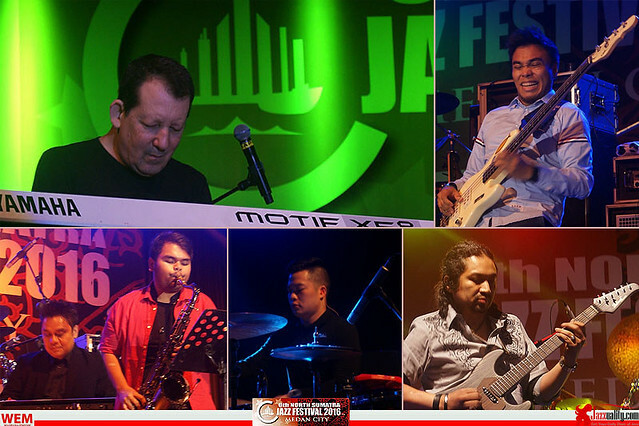 On behalf of everyone in Jazzuality.com, we congratulate Erucakra Mahameru, WEM, indiejazzINDONESIA and everyone behind the event for one amazing edition. It will be hard to beat, but we have no doubt you guys know what to do for next year. 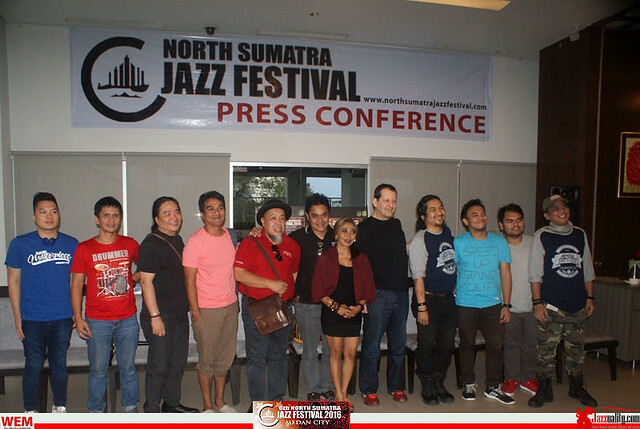 We are always proud to support you, a festival that’s not only presenting world-class quality of jazz and its varieties but also care of the local wisdom and our rich cultural heritage including traditional music. Keep it up, look forward to see you again in 2017!